Located off the coast of Port Campbell National Park, the 12 Apostles are one of Victoria’s most stunning natural landmarks. 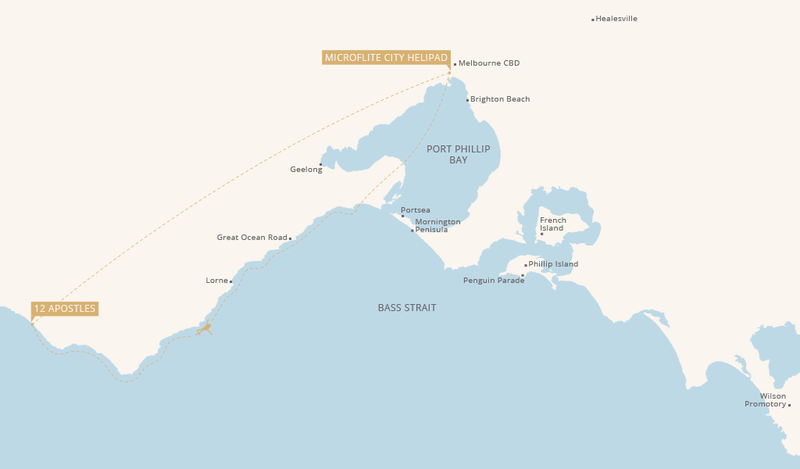 Take off from our Melbourne heliport and follow the Great Ocean Road as it winds along the picturesque coastline. Overfly the 12 Apostles before landing at the visitors centre to embark on an hour-long guided tour before returning to Melbourne.